WHY THROW SAFETY BLADES AWAY? 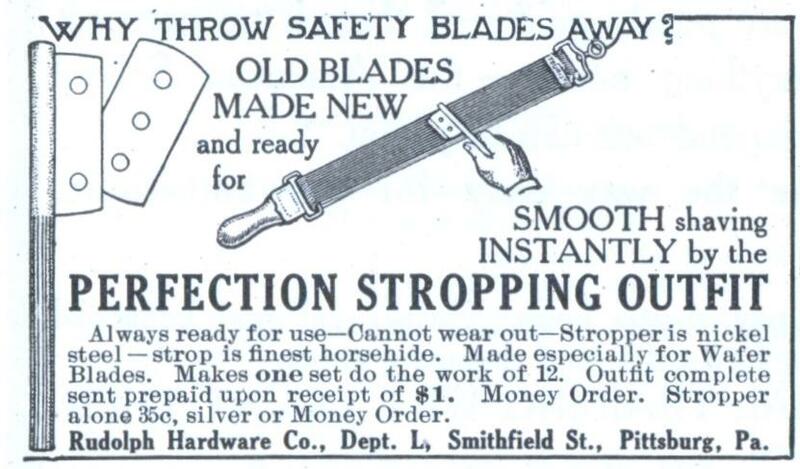 Always ready for use—Cannot wear out—Stropper is nickel steel — strop is finest horsehide. Made especially for Wafer Blades. Makes one set do the work of 12. Outfit complete sent prepaid upon receipt of $1. Money Order. Stropper alone 35c, silver or Money Order. Rudolph Hardware Co., Dept. L, Smithfield St., Pittsburg, Pa. I look at this differently. The concept of “disposable” is new and I suspect had a big start with razor blades. Remember, these were simple steel blades with no coatings or magic attached. The idea that the life of a product could not be extended just did not suit the mentality of the day. As a curiosity I’ve purchase a variety of disposable razor blade sharpeners over the past years with designs that range from the simple to the extraordinarily complex. Under my subjective test, some devices worked better than others as one would expect. Fortunately, none of my devices relied of “Pyramid Power” to sharpen the blade, that didn’t come till much later. 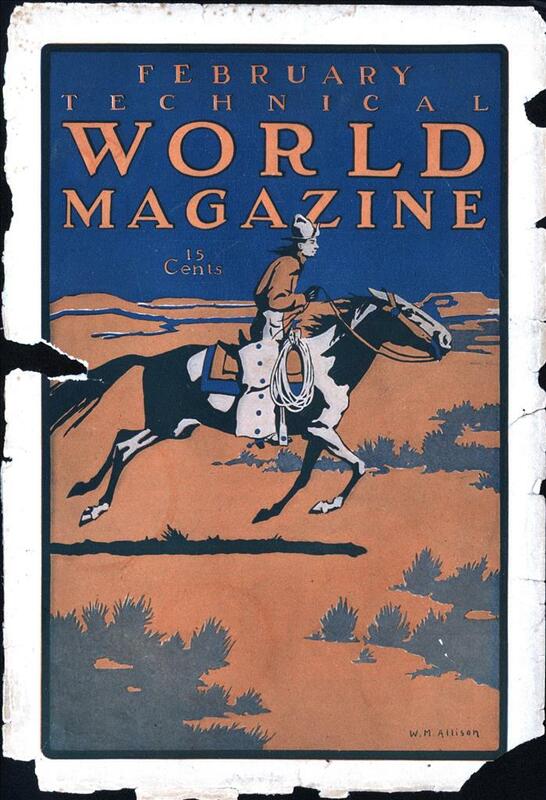 Things like this were also popular during WWII. You can find pictures of many different models if you google “razor blade sharpener” like this one on the retrorazor site.